Now why might Senator Sasse be so interested, particularly given Nebraska’s musical history? It turns out that there is quite the competition between Nebraska and Iowa for Silicon Valley’s data center business, particularly given the renewable energy profile of each state (wind is 37% of Iowa’s electricity production and about 20% of Nebraska (including hydro). That checks the box for Silicon Valley. Operating under the alias Raven Northbrook, Facebook has its eyes on Nebraska, DCD can exclusively reveal. So maybe the Sasse sledgehammer amendment to discriminate against pre-72 artists is easily explained–just another swamp dweller swamping up the cash. [A brief word–TheTrichordist and MusicTechPolicy are always there to provide a platform for the songwriters, artists, musicians and vocalists when grassroots needs to be heard. We all have to thank the Content Creators Coalition, MusicAnswers and especially Maria Schneider for enduring the tactics used against them in their unwaivering fight for fairness and transparency for the creator community. The good protective changes to MMA in Senate Judiciary are due to their efforts and the kind willingness of Senators Grassley and Feinstein to listen to compelling ideas presented by effective advocates. [Washington, D.C.] – The Content Creators Coalition and MusicAnswers released today the following statement on the Senate Judiciary Committee’s vote in support of the Music Modernization Act. 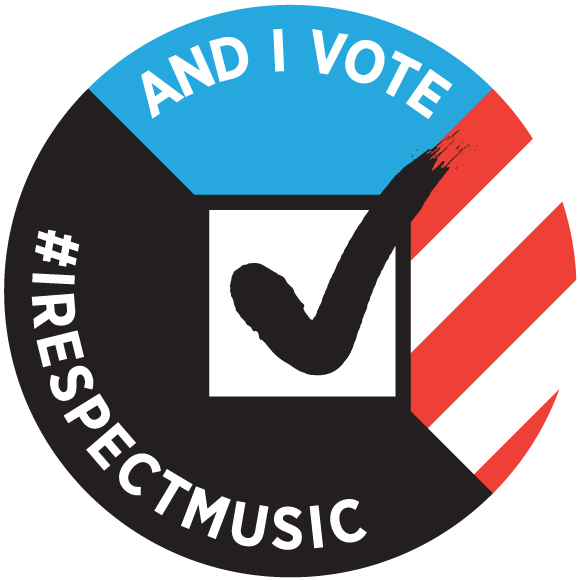 C3 and MusicAnswers applaud the Senate Judiciary Committee’s vote to advance the Music Modernization Act, while incorporating key changes we had urged to make the legislation stronger, more transparent, and more equitable. The MMA will strengthen the music ecosystem and all its participants, including songwriters, publishers, performing rights organizations, artists, record companies, music services and fans. It ensures digital music services will pay fair royalties for every song they stream, establish a better standard for determining royalty rates, and eliminate some out-of-date provisions of the PRO consent decrees. In return, digital music services get certainty, legal protection, and new streamlined tools to bring more music to more people at lower cost. It’s a reasonable bargain, and, therefore, we have consistently and publicly supported the basic construct of the legislation. We are especially grateful that the Senate Judiciary Committee, led by Chairman Chuck Grassley (R-IA) and Ranking Member Dianne Feinstein (D-CA), was willing to engage with our organizations on ways to improve the bill and include in the Managers Amendment approved today key protections for creators and the public. As a result, the MMA now provides greater transparency, including rigorous audits to make sure that royalties are flowing to the correct parties, a commitment to educating all music creators about their rights and the royalties due them collected under the new Music Licensing Collective (MLC), a requirement to study and follow best practices in order to find the proper owners of unclaimed royalties, and increased clarity regarding who owns the data generated by the new system. While we support the legislation and are proud of the changes we have achieved as artist and songwriter advocates, we continue to have concerns about three key issues: whether the entity that is designated as the MLC is being foreordained by the bill and precludes competition with the MLC; the composition of the Board of Directors of the MLC, which is unduly tilted towards major publishers; and the methods used to distribute royalties from works where even using best practices the authors could not be identified. We urge the full Senate and the House to consider further improvements to those flawed provisions and we call on the Copyright Office to ensure in implementation of the final legislation that no stakeholder group can dominate the MLC and that all royalties are distributed in a fair and equitable and non-self-interested manner. The process leading to this moment has been strong in many ways. But it has also included its fair share of divide-and-conquer tactics and efforts by powerful incumbent forces to crowd out grassroots organizations like ours and to divide the music community within itself. We believe that we are strongest when we respect and support each other – a lesson too many in our business still have yet to learn. We are deeply appreciative of the partnership c3 and MusicAnswers have forged. Together, we represent thousands of writers, producers, performers, and music business professionals, and over the past few weeks we have worked steadfastly to pursue improvements in the MMA. We look forward to future collaboration and welcome the involvement of other collaborative groups and individuals. From what we have gathered, on May 15, the Senate [held a hearing] on the Music Modernization Act (which now includes the Classics Act and the AMP Act). It’s flying through the walls of government faster than anything we’ve ever seen. Some call it unprecedented. Some say it’s been a long time coming. The music member organizations are touting this as if we are finally getting our moment in the sun. But are we really? ASIDE FROM CREATING A DATABASE — IS THE MMA A LANDMARK OR LANDMINE FOR MUSIC CREATORS, PRODUCERS, AND PERFORMERS? If the MMA legislation is so much of a windfall moment for all music creators, producers, and performers — why is it so hard to find a concrete example (or have the advocacy groups even CREATE an example to relate to) of a DIY music creator and how the MMA will help him/her earn more income for their music (or musical contribution) from streaming? 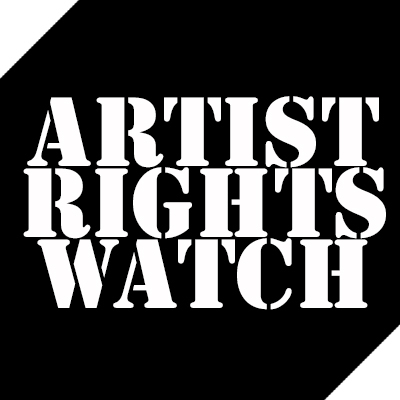 Why haven’t the member organizations provided examples of “if you wrote this, recorded this, produced this, and/or released it on a streaming platform, this is how passing the MMA will improve your music creator/producer/performer life” as a part of their non-stop rally of support for this bill? And what about the musician unions? If they want musicians to support the MMA, why haven’t they provided any examples of how a session musician (or lead singer) who played/sang on a track that is now released on a streaming service will benefit? The famous old Russian proverb reminds us to trust but verify. That’s been the story in the record business since the cylindrical disc. All the “modernization” in the world will not soothe songwriter’s genetic suspicion of their accounting statements. The collective to be established by the Music Modernization Act (“MMA”) undertakes the obligation to handle other people’s money. It quickly follows that those whose money the collective handles need to be able to verify their royalty payments from time to time. This has been an absolutely standard part of every royalty-based agreement in the music business for a good 50 years if not longer. The collective undertakes the responsibility of accounting should anticipate concerns of songwriters regarding verifying the accuracy of the statements and payments it renders. However, the MMA provides no supervisory oversight and in my view has a rather punitive black box clause that allows “unmatched” royalties to be paid on a market share basis to publishers, and then on to their lucky songwriters pro rata. This suggests that everyone who is in that lucky songwriter’s chain, like managers, business managers and lawyers working on a percentage basis may also get a share of these black box distributions in compensation. So on the face of it, the MMA creates a relatively large category of people who have an economic interest in the black box. You can be cynical and think that they have an interest in the black box being as large as possible (meaning the accounting controls are as weak as possible), or you can agree with five-time Grammy winner Maria Schneider that if the “lucky” songwriters actually knew that they were being paid with money that belonged to the “unlucky” songwriters, they would be angry about that unfairness. Emphasis on the “actually knew”. Or you could say, let’s not go either direction–let’s set up transparency and controls so that the incentives are properly aligned to create the smallest black box possible. No publisher needs the writer-relations headache of suspicious minds, and the collective should do what it can to be above reproach. Here are a couple solutions to increase the trust level: Add oversight of the collective by the Office of the Inspector General (as a quasi-governmental organand at least designated by the Copyright Office and operating under the control of the Copyright Office, and also tighten up the audit clauses in the MMA to treat songwriters auditing the collective the same as the collective is treated by the digital services. One way to make sure that the collective–a quasi governmental organization in my view–is run honestly is to make it subject to oversight review by one of the U.S. Government’s many Inspectors General. Rick Carnes of the Songwriters Guild of America suggested this to Rep. Doug Collins at the University of Georgia Artist Rights Symposium in a question from the floor. For example, the Library of Congress (currently where the Copyright Office is housed) has an Inspector General. Since the Copyright Office has a lot to do with the creation and periodic review of the collective, they could save themselves a bunch of Freedom of Information Act requests from angry songwriters by having an Inspector General review the collective annually (or better yet, in real time). My understanding is that giving an IG jurisdiction over the collective will require some enabling legislation, but I think it’s something well worth looking into. It would give the songwriters of the world a true-blue fiduciary to represent their interests as well as comfort that they had a line of appeal with some teeth short of expensive litigation. The Inspector General is not in the current draft of the MMA, but audits are–both audits of the collective by songwriters and audits by the collective of digital music services. We’ll focus on audits of the collective in this post. It should be said that under the current compulsory license now in effect (i.e., pre-MMA), songwriters get no audit right, so the fact that there is an audit right at all is an incremental improvement. Unfortunately, the MMA’s audit right still keeps songwriters away from auditing the right party–the digital services–and keeps that upstream data away from them. Plus, all audits under MMA appear to be subject to confidential treatment. I don’t think there’s a good reason to keep these secret. If a smart auditor finds a flaw in the collective’s accounting systems, that flaw should be disclosed and there should be an automatic true up of everyone affected. But first, let’s realize what an “audit” actually is. It is a term of art in the music business and really means a “royalty compliance examination” which is solely focused on making sure that statements and payments rendered conform to the contract concerned, or in this case, the statutory requirements of the compulsory blanket license. The person conducting a royalty audit is typically not a certified public accountant as there is nothing about conducting this examination that requires a knowledge of Generally Accepted Accounting Principles (“GAAP”), financial accounting, or Sarbannes Oxley compliance. It is, in fact, quite rare for a royalty audit to be conducted by a CPA, and I’ve even had lawyers conduct an audit because the analysis involved is mostly that of contractual, or statutory, interpretation. Analysis of music industry-specific contracts is typically not part of the training of CPAs. So even if an auditor is a CPA, the skills needed to conduct the audit are typically learned through on the job training. What is very common, however, is for someone on the receiving end of the audit to try to require the auditor be a CPA, arguably to increase the cost of the audit on the person owed money. CPAs often bill at higher rates than do royalty auditors, which creates a disincentive for audits. What is also common is for lawyers to think that every time they draft a clause about anyone conducting anything having to do with accounting, that they need to limit the person doing that examination to a CPA, because…well, because… This is what I call stupid lawyer tricks, and the CPA requirement is something that is routinely negotiated away in record deals and publishing deals if you have an ounce of leverage. Limiting the audit right to “copyright owners entitled to receive payments” means that if songwriters have an administration or co-publishing agreement, they will probably not be able to conduct an audit of the collective (even if their administrator or co-publisher is a board member of the collective). Because the audit is limited to “verifying the accuracy” of prior payments, the audit of the collective will not be able to look “upstream” to the service making the payment and may not be able to look at payments made to the collective, just the payments by the collective. QUALIFIED AUDITOR.—The term ‘qualified auditor’ means an independent, certified public accountant with experience performing music royalty audits. Again, I don’t think that the auditor needs to be both a CPA and have experience. Experience is enough. For example, if the auditor has performed audits for members of the collective’s board of directors, perhaps that would be enough. The qualified auditor shall determine the accuracy of royalty payments, including whether an underpayment or overpayment of royalties was made by the mechanical licensing collective to the auditing copyright owner(s); provided, however, that before providing a final audit report to such copyright owner(s), the qualified auditor shall provide a tentative draft of the report to the mechanical licensing collective and allow the mechanical licensing collective a reasonable opportunity to respond to the findings, including by clarifying issues and correcting factual errors. This clause is a problem. First, the auditor is hired–and has a professional duty–to find underpayments of royalties. That’s what they look for. The auditor does not have a duty to do the collective’s work for it and find overpayments. The auditor is not hired to find overpayments, they are hired to find underpayments. The collective should hire its own accountants to review its royalty statements, and it surely will do so if it gets an audit notice. Otherwise the US Government is placing a heavy burden on the auditor and the copyright owners to look for overpayments as though the auditor played the role of a public financial accounting firm looking for accuracy on behalf of stockholders. Plus, the requirement to force that auditor to give the collective the audit report before giving it to the people who hired that auditor is a bit much. Fair enough to meet and confer at the work paper stage to make sure there weren’t inaccuracies in the analysis, but that should not place any prohibition on whether the auditor’s own client can see the report first. If this is really the role that the Government wants the auditor to play, then by all means let’s make any miscalculations by the collective available to the public and publish them in the Federal Register. Let’s not have the auditor’s findings subject to any confidential treatment. If that brings down a host of other audits or a need to restate millions of royalty payments, then so be it. Because we are not just looking for underpayments we are searching for the truth, right? The auditing copyright owner(s) shall bear the cost of the audit. In case of an underpayment to the copyright owner(s), the mechanical licensing collective shall pay the amounts of any such underpayment to the auditing copyright owner(s), as appropriate. In case of an overpayment by the mechanical licensing collective, the mechanical licensing collective may debit the accounts of the auditing copyright owner(s) for such overpaid amounts, or such owner(s) shall refund overpaid amounts to the mechanical licensing collective, as appropriate. Like so many other parts of the MMA, this is essentially an “ad terrorem” clause, or a right coupled with a penalty if it is exercised. What I think this means is that regardless of how much the underpayment might be–including both a material and nonmaterial amount–the songwriter bears 100% of the cost of the audit. The songwriter’s auditor has to look for overpayments (and bill their client for that extra review), and if the auditor finds any, the auditor has to report the overpayment. The songwriter then not only has to repay that amount (whatever “as appropriate” means), but also pay for the expense of finding it. The mechanical licensing collective shall pay the cost of the audit, unless the qualified auditor determines that there was an underpayment by the digital music provider of 10 percent or more, in which case the digital music provider shall bear the reasonable costs of the audit, in addition to paying the amount of any underpayment to the mechanical licensing collective. In case of an overpayment by the digital music provider, the mechanical licensing collective shall provide a credit to the digital music provider. So what’s good for the goose is not good for the gander. When the collective is auditing upstream, the collective gets the benefit of that standard underpayment penalty. That means that the service has to pay for the cost of the audit if the underpayment exceeds a fixed percentage, in this case 10%. If there is an overpayment, the collective never has to repay the overpayment, just credit the account with an offsetting amount. There should be no obligation on the part of the songwriter to have to find overpayments and if an overpayment is found in the normal course, it should simply be credited (which is the effect of the collective’s audit clause on songwriters downstream). Songwriters should get the same underpayment protection on audit costs that the collective enjoys. Appointing an Inspector General and cleaning up the audit clause would certainly make the MMA more fair for songwriters than it currently is. You’ve probably heard about the “mass NOI” problem resulting from the Copyright Office allowing Big Tech to profit from a loophole in the Copyright Act. The loophole permits digital music services to get away with what would otherwise be both infringement and nonpayment of royalties under yet another safe harbor, this time from 1976. Remember that under U.S. law, unless the service has a direct license with the copyright owner, a digital service can rely on the government’s compulsory license by sending a “notice of intention” (or “NOI”) to the copyright owner. One could argue that those are mutually exclusive end states, so keep that in mind. As anyone who has done song research knows, there are a number of reliable places to look for a song copyright owner, starting with the performing rights societies like ASCAP and BMI that provide a free lookup service on their websites. But…you can’t find what you don’t look for. Enter the loophole. The Copyright Act says that if you can’t find contact information for the song copyright owner in the Copyright Office’s public records, then you can send your NOI to the Copyright Office instead of to the copyright owner. Then you are deemed to have a compulsory license after that service date. The problems is that while the government might have thought in 1976 when the section was enacted that they had to tie up that loose end by referencing the Copyright Office, they probably did not realize that they were also requiring a look up in what was to become arguably the least reliable source of song information. Not to mention that updating the Copyright Office records is done at a waddling pace. The way the loophole works is that if a song has not been registered in the Copyright Office (which is not required) then the service can say that the address of the copyright owner is “unknown,” even if the service has actual knowledge of the copyright owner’s contact. See the loophole? Even if they know who you are and how to reach you, they can say they don’t know if you haven’t registered your copyright–which you are not required to do unless you’re planning on suing. In addition to actual knowledge, there’s also the argument that a reasonable person could have found the song copyright owner if, for example, that song is in the Billboard Hot 100’s Top 5. If you’ve ever tried to register a copyright, you know how long the Copyright Office can take to get you a conformed copy of your registration–months. Why? Because they appropriately give your registration the once over to make sure that you filled it out correctly and giving that attention takes time. Anywhere from six to ten months in fact. The large print giveth and the small print taketh away…. Unfortunately, the Copyright Office does not give the same degree of attention to address unknown filings. In fact, as far as I can tell, they give no attention at all to address unknown filings. Historically, there were a handful of these “address unknown” filings. But all of a sudden after independent songwriters and publishers started suing Spotify, millions of “address unknown” filing started appearing at the Copyright Office in April 2016. There are now over 60,000,000 of these notices on file that have been posted. That means that there are 60,000,000 free licenses in effect. When the Copyright Office started getting these filings, they began posting them in huge compressed files. So if Amazon filed an address unknown NOI, it would appear to be one or a few NOIs, but each one of those NOIs had an Excel spreadsheet attached that had tens of thousands of songs on it in most cases. Given that the Copyright Office chose to post the NOIs in this manner, it was essentially impossible for a songwriter or even most music publishers to search all of the NOIs to see if their songs were included or included incorrectly. This creates an obvious and forseeable problem for anyone wanting to check if their songs were incorrectly included in a mass NOI. Since the Copyright Office wasn’t checking and since they made it virtually impossible for anyone else to check, it is likely that there are many incorrectly filed “address unknown” NOIs, which means that there are likely an equally massive number of infringements as those compulsory licenses would be invalid. Of course, services would argue that if their compulsory license fails, they have an implied license since they notified song copyright owners of their usage through the address unknown NOI at the Copyright Office and nobody caught them. Notwithstanding the fact that the Copyright Office chose the least transparent way to make the information available to the public. So is the address unknown NOI good notice to the world if the world can read it? How bad is this? If there is even a 1% error rate, that is 60,000 songs. Seems like a lot to me, and I would bet that the error rate is a lot higher than 1%–courtesy of the U.S. government. Remember this started in April 2016. No one has lifted a finger to fix it since then, but the Music Modernization Act has a new safe harbor that sweeps all these NOIs into the new blanket license without anyone ever checking to see if they were filed correctly. Given the other safe harbor–I know, the MMA has so many safe harbors for Big Tech that it’s hard to keep them straight–that protects infringers from suits for statutory damages filed after January 1, 2018, it is unlikely that anyone will ever pay the piper for this massive and industry wide screw up. A good reason for all mass NOI filings to be excluded from the MMA’s litigation safe harbor. A good place to start fixing it is by indexing all of the Copyright Office mass NOI filings and making that searchable database available to the public. There are a number of companies that indexed the address unknown filings but SoundExchange recently launched theirs. The SX Works NOI Lookup is free to use and very fast. Here’s a video describing the service. I tried running a few queries on it to see what showed up using the top five songs from the Billboard “Hot 100” singles chart starting January 1, 2018, a date that will live in infamy. Here’s what I found. First, we have “God’s Plan” by Drake. Remember, if the song is in the NOI lookup, the service is claiming they can’t find the song owner. Notice that Spotify has four separate NOIs filed for “God’s Plan” and each one lists that song’s writers. Notice that Google and Amazon list the writers as “unknown”. Here’s a little speculation–the reason that both Google and Amazon list the writers as “unknown” is probably because they each got the same new release feed on the record side and did not take advantage of the songwriter information provided by the label. Or they did no matching work–notwithstanding that Google owns Content ID which very likely has all of the song ownership information already inputted for them. Spotify on the other hand does have the songwriter information, so either they were given it by the label and passed it through or they got it from another source. It seems unlikely that they had all the songwriter information and none of the publisher information. It must be said that the labels are under no obligation to provide any publishing information much less clear the rights. This is the deal Spotify (and all the other services) made–repeatedly. So the labels can’t be blamed for the lack of songwriter or song owner information. Again, Spotify tends to have the writer information and Google and Amazon rely on “unknown” for a top 5 record (that also went #1). But it’s “address unknown” for all of their NOIs. You may be wondering how it is that these writers aren’t getting paid for huge numbers of streams. I wondered that, too. But–remember that there are two ways for services to license songs: voluntary direct licenses and compulsory. Here’s some speculation: the top songs are written by songwriters who very likely have publishing deals with major publishers and major publishers very likely have direct deals with Spotify, Google, Amazon, etc. So these services don’t need to send “address unknown” NOIs in order to get a compulsory license. They already have a voluntary direct license and they probably paid a pretty penny to get it. And notice–Apple is nowhere to be seen in these mass NOI filings. This is getting to be a pattern, right? “Finesse” has been a top 5 single for weeks. How could they not know who to license from? At least Google lists “Bruno Mars” as the writer–good guess for the biggest search company in the known universe. Think they looked it up in Content ID? And as we saw before, Spotify lists all the writers. But no copyright owners, I guess. So why would these Big Tech companies want to have both a compulsory license and a voluntary license? Maybe so they will be covered with a royalty free license if the voluntary license should expire for some reason? Is it really correct for services to be able to burden the Copyright Office with these mass filings for songs that are already subject to a voluntary license? Which gives them actual knowledge of the song copyright owner? Here’s “Rockstar” by Post Malone. Apparently, the biggest corporations in the world have no idea who owns the song. No idea who owns “No Limit” by G-Eazy either, although both Google and Spotify know the writers. Or Lil Pump’s “Gucci Gang”…. although it’s quite easy to find in ASCAP’s database…. So let’s get this straight. None of Google, Amazon, Spotify, or iHeart could find any of the copyright owners of any of the songs in the Top 5 for the last 7 weeks. Or are they sending “address unknown” NOIs as a matter of policy for all songs recorded in the tracks delivered to them by labels including songs already available to them under a voluntary license? Which is more likely? In the latter case, this gives them a back up compulsory license that will continue if their voluntary license should ever expire. Or if they allow it to expire. Are they really relying on these fake compulsory licenses and not paying royalties or accounting on songs licensed under a voluntary license? Seems hard to believe? This shortfall might be a bit hard to catch, although if you have a writer in the top 5 it does seem like something you should know and act on if you’re getting stiffed. Or are the services paying under the voluntary licenses and just stiffing every songwriter who is outside of a voluntary license? And are they doing so retroactively for songs delivered prior to April 2016? Now that the SX Works NOI look up is available, it really brings home the absurdity of the mass NOIs. Not to mention the absurdity of the fact that no one in Congress does anything to stop it and that Big Tech has bootstrapped this absurdity into the Music Modernization Act.